You may have already seen the first signs: it’s no longer complete darkness when you leave work, the first crocuses are valiantly poking out from the ground to provide splashes of colour, and the words ‘overnight frost’ will soon be but a memory of those chills brought by the start of the year. The benefits of going green may well have already inspired you to grow your own vegetables, and now is the perfect time to give it some serious thought. As the days lengthen and the frost subsides, you can get planning what you can grow in the space you have, as well as taking the important step of preparing your soil for all those tasty vegetables you’ll be tending to in the coming months. In today’s blog we’ll also provide tips on how to grow leguminous plants such as beans and peas. These are not only easy to grow but also naturally improve the nitrogen content of your soil, making them a great option for beginners by preparing the soil for vegetables later on in the year! This can be done from the comfort of inside your home: with pen, paper, and the thrill of anticipation. A well-designed vegetable garden is easy to maintain. Make sure your tools are readily available, set up a good water supply, organize a container for putting weeds into and make a compost heap. If you make your garden a pleasure to work in, you’ll be more likely to spend time tending to it. The design will depend a lot on the space you have. If you’re going to grow food in hanging baskets or containers or on windowsills, you’ll need to be creative with space to maximize your yield, but you’ll also need to ensure you have space to reach and water them all. If you have raised beds, traditional garden beds or an allotment, you will have more space to grow larger crops but you’ll still need to make sure you can maintain them. Some plants are more tender than others. Some will ‘sulk’ if they aren’t watered for a day, may topple over easily, need protecting from frosts or will scorch in strong sunlight. Some gardens suffer from driving winds, which can damage plants, so factor this into your design plans, as well as the amount of sunlight – most plants need six to eight hours of sunlight to grow well. It makes sense to group plants that have similar requirements. For example, put all your hungry feeders together. Remember that for best results you need to rotate your crops on a yearly basis, so plan ahead for this. 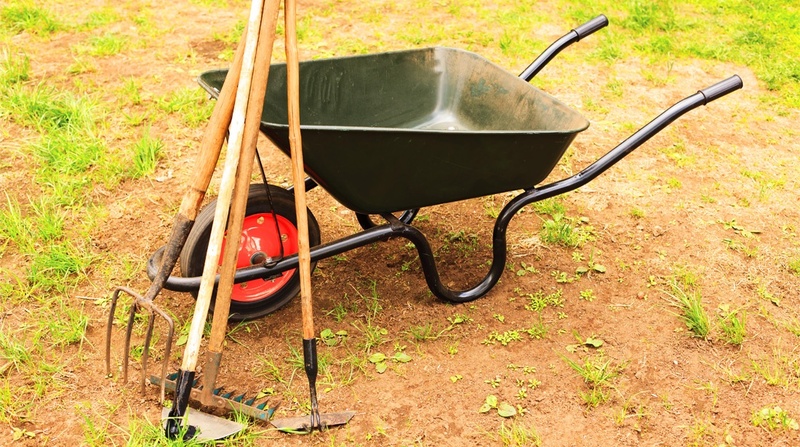 If you have clay soil you can’t dig it when it is too wet – leave it to dry out for a few days and try again. Avoid stepping on your soil wherever possible – to avoid soil compaction put down a few old planks of wood down to walk on and remove them when you have finished with them. Remove any obvious waste such as dead flowers, old plants, weeds and roots. Most of these can be added to a compost heap. 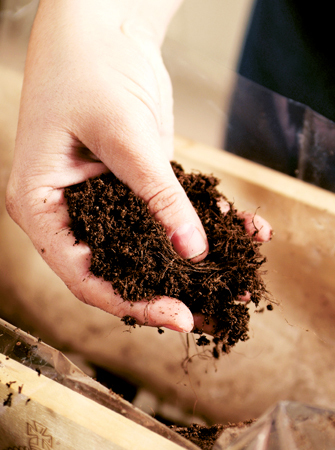 Add organic matter such as well-rotted manure or compost to improve the texture of the soil. You don’t need any special materials to set up your own compost; you can simply set up a heap in the corner of your garden. You need a mix of green and brown ingredients. Green materials – wetter ingredients such as fruit and vegetable peelings and grass clippings – are rich in nitrogen and quick to break down. Brown materials – drier ingredients such as shredded newspaper, cardboard and straw – are rich in carbon, slower to break down and let air pockets develop in the compost heap. The conditions needed for good compost are: air, ingredients, warmth and water. The water comes from a good balance of green to brown ingredients. 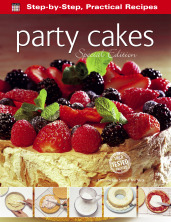 If you have the right balance, the texture will resemble a well-wrung sponge. If it’s too dry, you can carefully water the pile or add more green ingredients. If it is too wet, you’ll need to add more brown materials to soak up the moisture. Turning the heap regularly will help the composting process by adding warmth to the ingredients. Once the ingredients in your compost have decomposed, you can use it to feed your soil by digging it in to your existing soil. All this will be good preparation and have you ready to plant your first vegetables. To finish off today’s blog, we’ve used peas and beans as examples, as they’re very easy to look after and produce results quickly. Germinate the seeds first under glass or in the warmth of the inside, ready to be planted outside around April-time. These legumes help fix nitrogen in the soil and can help improve it. Suitable for beds and containers, most beans are easy to grow and produce high yields, although they like warm soil and must not be planted out when there is risk of frost. Broad beans will tolerate most soils and conditions, and they mature quickly so are ideal for beginners. Most varieties don’t need staking except in very exposed sites and they can be sown in situ from spring onwards; plant until the end of May for a continual supply. Peas are at their best in early summer before temperatures get too hot. 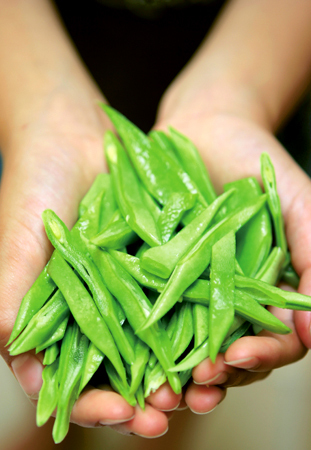 In addition to garden peas you will see sugar snap peas, mangetout and petit pois. They need rich soil that is kept moist so add compost or manure the autumn before you plan to sow them. Allow the ground to warm up before planting them in situ. They need support – all varieties have tendrils that need to wrap around something, so provide netting, sticks or canes. Another great crop for beginners – if you provide rich soil and water them well during dry periods you will be rewarded with a huge crop. They require constant picking through the harvesting season otherwise the plants stop producing beans. They grow very easily: start by putting two seeds into a seedling cell and when they are bursting out of their pots transplant them into warm, prepared soil. They require plenty of water when the flowers are forming to produce a good crop. Keep weeds at bay and give them something to climb up – rows of wigwams of bamboo canes are a popular choice. This blogpost is based on content from our fantastic book Grow Your Own Vegetables by Rachelle Strauss [ISBN: 978-1-78361-133-1]. This title is part of our Digging and Planting series – it’s New in Stock and can be ordered from our website here or on Amazon here. Want more advice on prepping your garden for Springtime planting? Head over to Back Yard Boss for some great tips here. Preparing your own compost is an excellent way to recycle and do your bit for the environment. See what can and can’t form part of your compost with this handy check-list. Find more tips on how to prepare your soil and create raised beds during Spring here. You can make a really tasty hummus recipe using broad beans, with garlic, seasoning, lemon juice and olive oil. Check out some hummus recipes here.